Products in Grocery stores are many and varied. In order to speed up service at the cashier you would want to be able to scan as many of the items as possible. 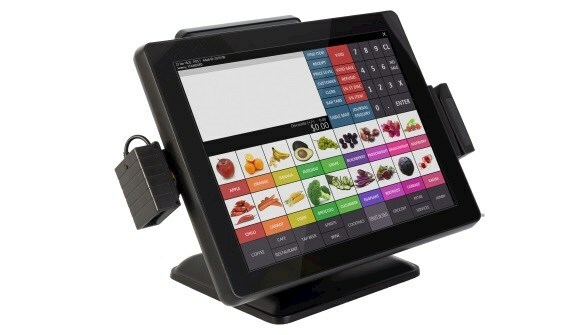 Idealpos uses scanning technology in many ways. Any items that don't have a barcode can have one created for them in Idealpos, which can then be printed on label stickers and/or shelf labels. Even items from a deli department can be programmed and scanned with accompanying labels. Using Idealpos' Stock Manage app, you can easily perform a stocktake on the items within your store and continue trading. But performing a stocktake is only one of the features of the app. You can also receive stock, add bar codes to items and transfer items to other locations. Promotions are a great way to bundle products together for a quick sale, or to showcase a new product and make it a standard purchase with your regular customers. Idealpos allows you to create many different types of promotions so you can sell your products the best way you know how. By connecting your Credit/Debit Terminal to your Point of Sale System, you help eliminate operator error by sending the sale and cash out amount to the Credit/Debit terminal. The Credit/Debit terminal will connect to the bank and upon approval will return an approval response so that the operator is able to finalise the sale. Having an integrated solution will also speed up the transaction as the operator doesn't have to enter values into a pin pad and deal with multiple receipts.